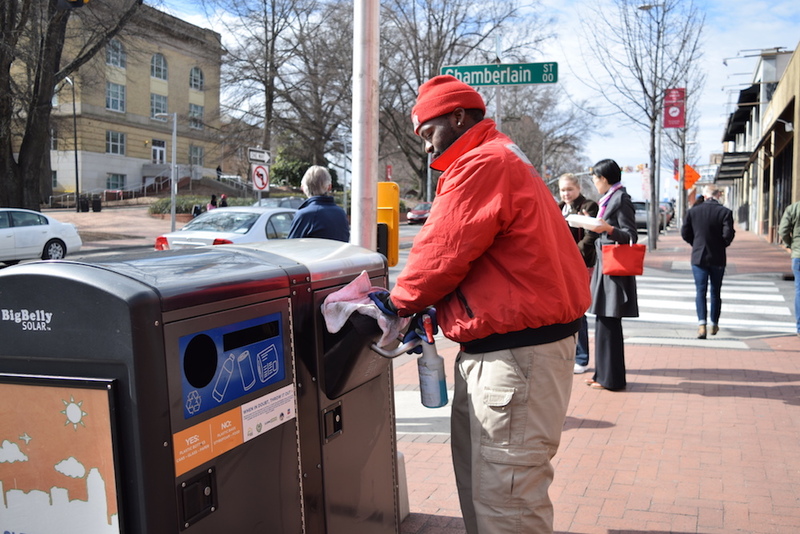 The primary mission of the Clean and Safe Program is to ensure Hillsborough Street remains a safe, clean, welcoming and attractive environment for everyone who visits our community. 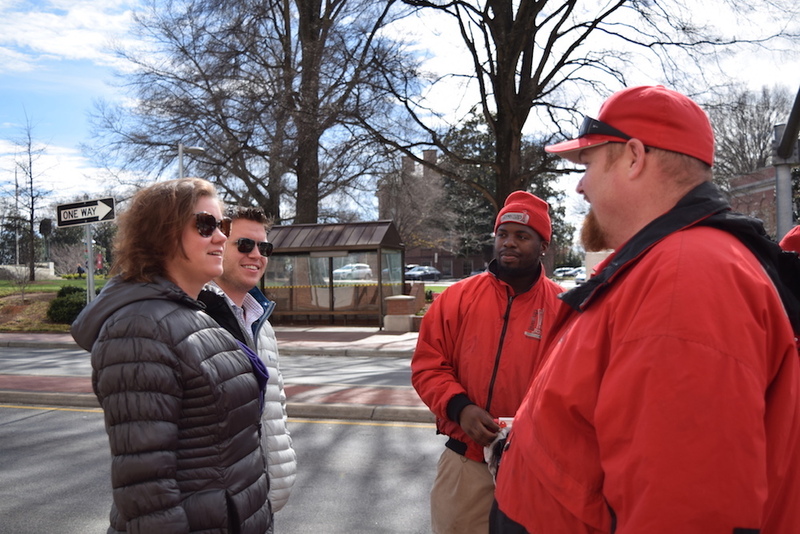 The Hillsborough Street Ambassadors walk the street seven days a week and during special events to engage and assist visitors, keep the street clean, and keep an eye out for safety issues. With their tan pants and bright red shirts reading "AMBASSADOR" across the back they are easy to recognize. 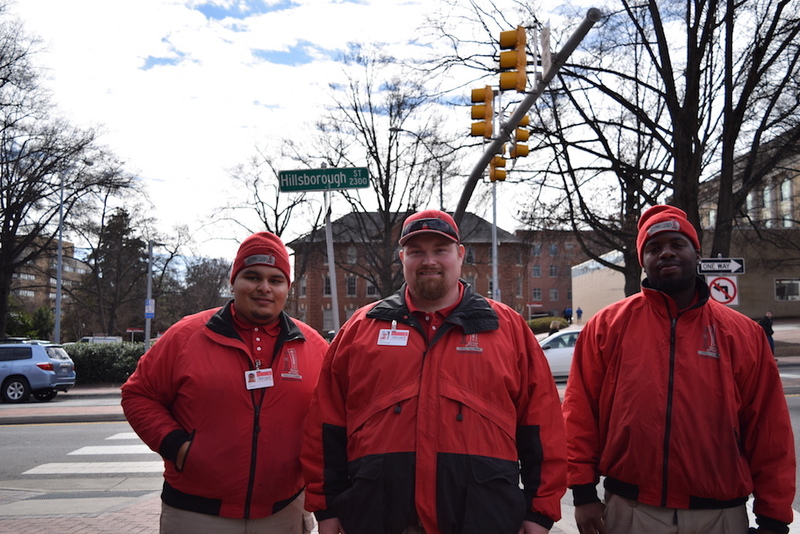 Our Ambassadors assist visitors with directions, parking and mass transit information, restaurant information, emergency assistance and generally are a welcoming greeter to everyone visiting our street. Feel free to approach them with your questions and they will be more than happy to assist. Our Ambassadors are always looking for things that need to be fixed, such as broken trash cans, damaged or missing signs, burned out street lights or missing bricks or pedestrian hazards. The Ambassadors do minor repairs themselves and other times we contract for the repairs from professionals. Ambassadors use “See Click Fix” to report major issues to the City of Raleigh for repair and maintenance. The Ambassadors job is to help us maintain the investment value of the street. 2) You can also help by putting your trash in the trash cans, not putting stickers and flyers on the light poles, and using your recycling containers. 3) Complete this short survey to help us evaluation and improve the Clean and Safe program. It should take no more than 8 minutes to complete and your feedback will be addressed immediately. Launch the Clean and Safe survey by clicking here.